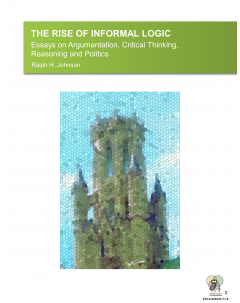 CRRAR and the Leddy Library are pleased to announce Ralph Johnson's The Rise of Informal Logic as volume 2 in the Windsor Studies in Argumentation (WSIA) open access monograph series. The first volume in the series, What do we Know About the World? Rhetorical and Argumentative Perspectives, was recently featured as the unglue.it project's Creative Commons book of the day. WSIA is one of the first monograph series in the world launched on the Public Knowledge Project's Open Monograph Press software. The Rise of Informal Logic was first published in print by Vale Press but has now been converted into an electronic edition for WSIA and is available in PDF, EPUB and Kindle formats with minor corrections. WSIA has decided to make this the second volume in its series to make a compelling account of the formation of informal logic as a discipline available to a broad audience. Written by one of the founders of the field, The Rise of Informal Logic includes essential chapters on the history and development of informal logic. Other chapters in the collection are key reflections on the theoretical issues raised by the attempt to understand informal argument. 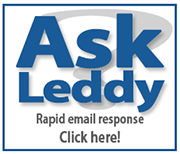 Many of the papers were previously published in important journals. A number of them were co-authored with J. Anthony Blair. Three of them have appear only in the present book. Ralph Johnson was hired as an Instructor at the University of Windsor in 1966. He received his Ph.D in Philosophy from the University of Notre Dame in 1972. In 2006 he retired after 39 years at the University of Windsor. During this time, he served two terms as Head of Department. In 1971, he and his colleague, J. Anthony Blair, developed an approach to logic they called informal logic. In 1977, they published their text, Logical Self-Defense (3rd edition, 1993; U.S. edition, 1994; IDEA, 2006). In 1979, Johnson and Blair founded the Informal Logic Newsletter, which became the journal Informal Logic in 1985. Ralph H. Johnson has published innumerable articles, been a featured speaker at many conferences, and is the author of Manifest Rationality: A Pragmatic Theory of Argument. He is a Fellow of the Centre for Research on Reasoning, Argumentation and Rhetoric (CRRAR) at the University of Windsor. The WSIA edition of The Rise of Informal Logic is available on the WSIA website at http://windsor.scholarsportal.info/omp/index.php/wsia/catalog. The editors-in-chief of WSIA are Leo Groarke and Chris Tindale. For more information about the series please visit the WSIA website. If you have questions about open monograph publishing, please contact Dave Johnston at djohnst@uwindsor.ca.